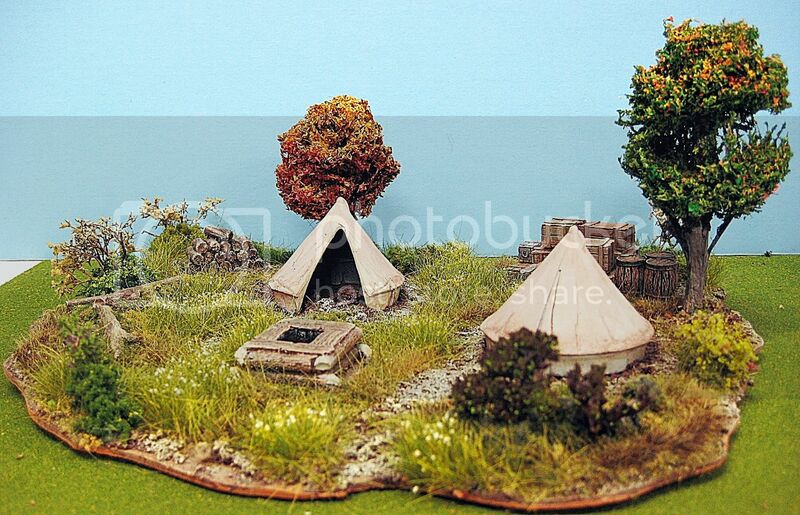 This is my scratchbuilt generic AWI camp, that I can use for all sides. Yes, I know that the Silbey tent was not invented at this time, but I'm willing to overlook that. Lots of battles, especially in the South, began with surprise raids on unsuspecting campsites. Anyway, this was fun to build and will look great on my table. Many fine pieces! I like your style. 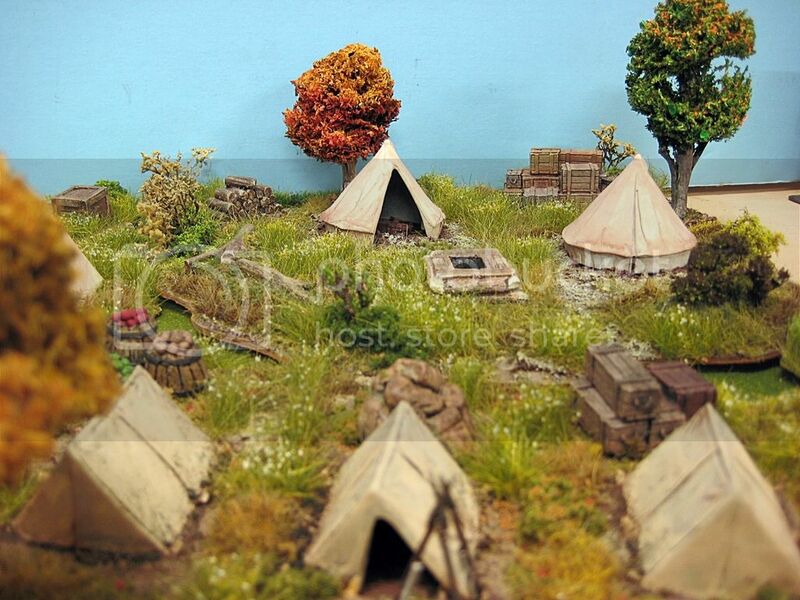 They look very nice but why do you have Sibley tents from the American Civil War in a Rev War camp? 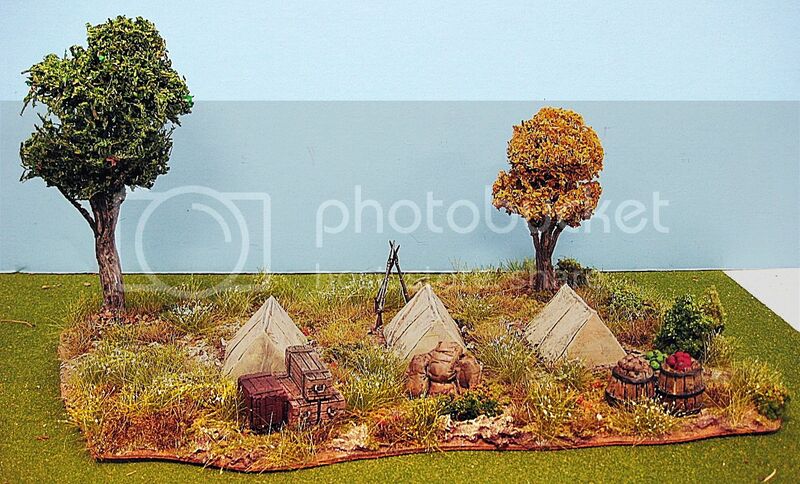 Period camps for AWI should have wedges, some walls, and marquee tents. 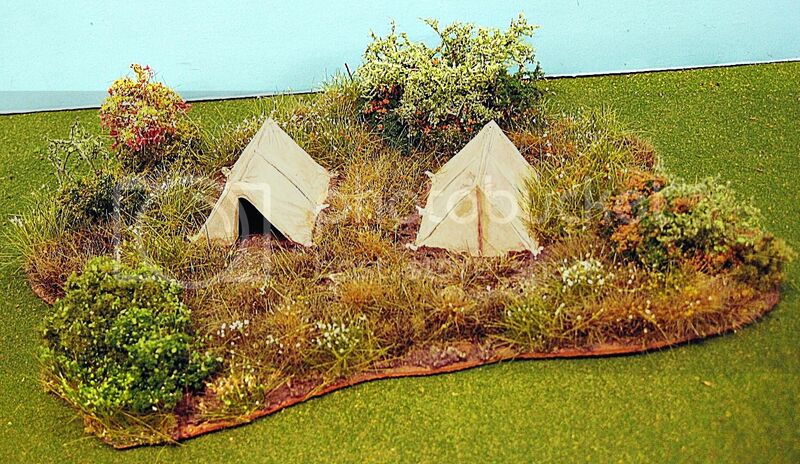 It would also be very accurate to have no tents, just brush huts. WOW, you've really outdone yourself this time, and folded in so many of your great techniques into these pieces! 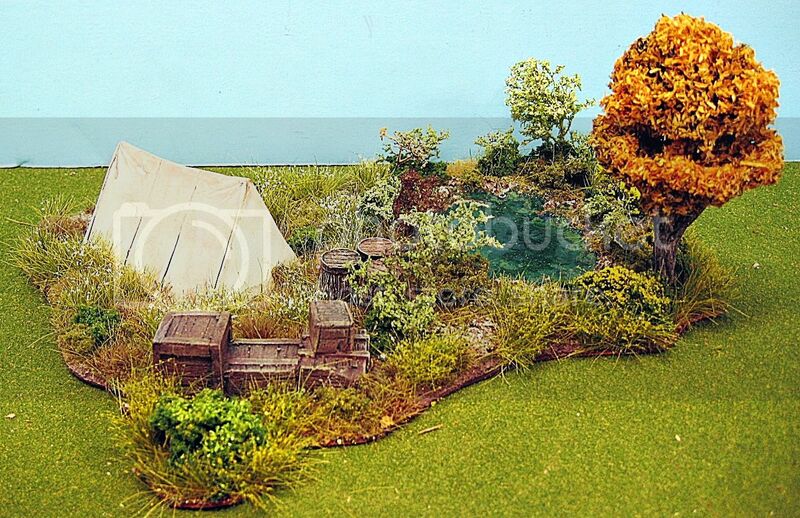 Great looking ACW camp. Nice Work! HG Read the post. 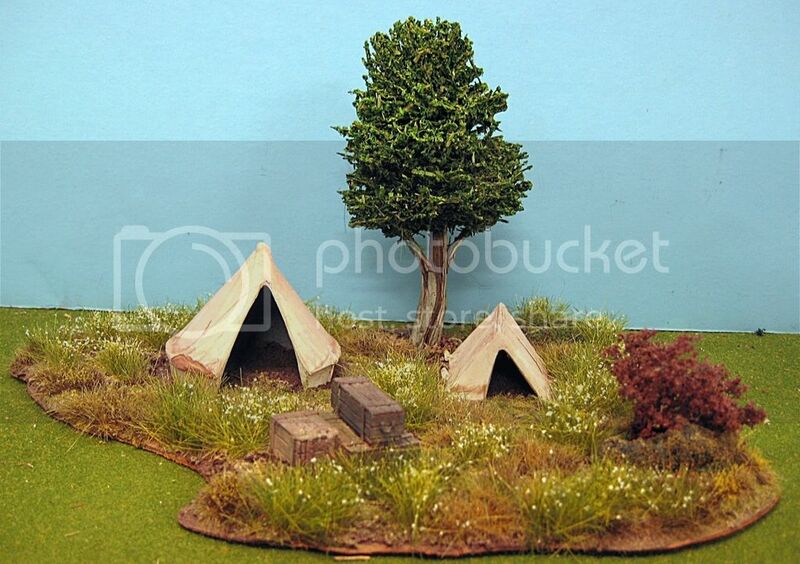 I used the Silbey tents because I had them and I like the way they look. No other reason. By the way, there are 2 sections with Silbey tents on them. I can always put them aside, if someone was that upset about it. MY friends go by the principle that "It is what I say it is!" when we put things on the table for a game. Especially if they're as nice as those tents. That goes for tents, trees, Sid-kafizzes, Shermans, Landsknecht hang gliders, Bladensburg using French figures as Americans…. Historygamer, having gamed with reenactors in the past I know what you are saying! I don't game, so I don't give a hoot what re-enactors think. I'm in it for the aesthetic appeal. I like the way they look and so there they are! Besides they are modular. Of the 9 pieces, only 2 have Silbeys on them. I can mix and match as I like. HG, People that argue over buttons probably should….. I'll just leave it at that. This is a very civil board. Looks just fantastic… for what it's worth soldiers were not made out of lead and plastic either. Nice job. 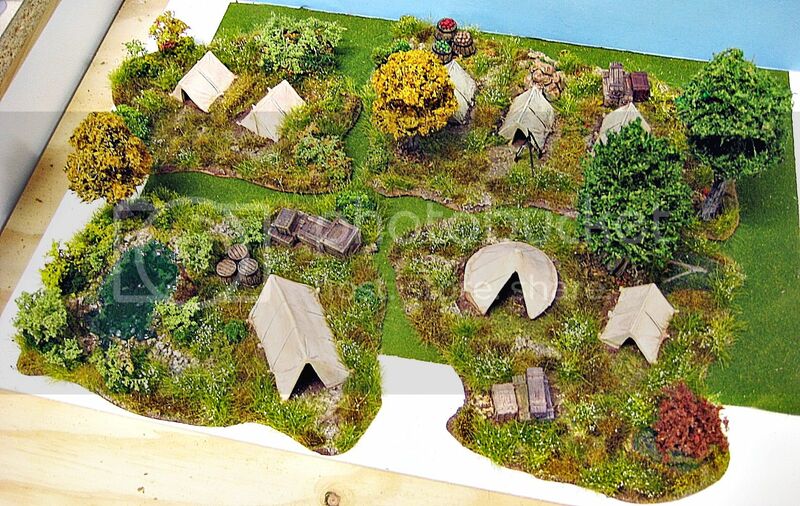 I just got a bunch of Renedra tents to make my AWI camp as well. Thanks for the inspiration. I freely admit that for some historical accuracy means more to some than others. Your stuff, do what you like. It isn't made for games anyway. "It isn't made for games anyway." 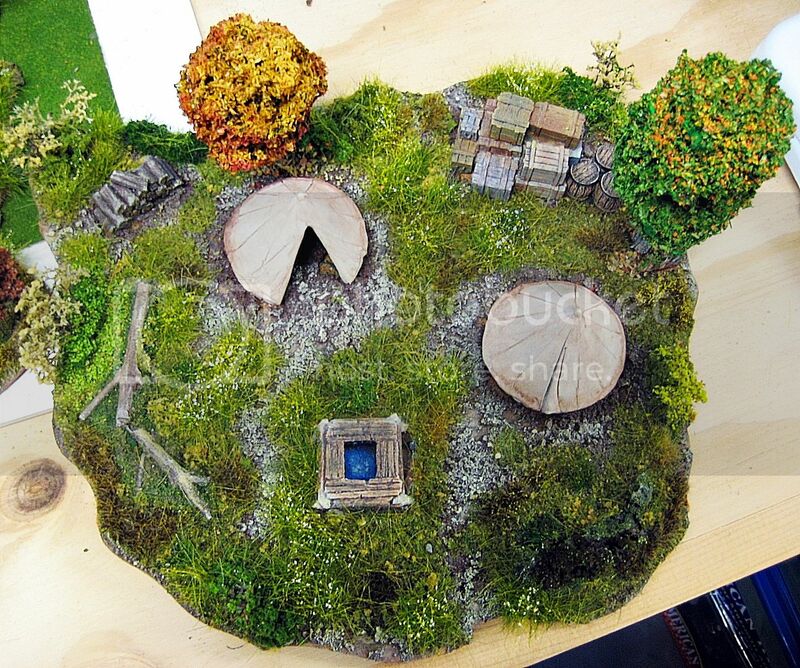 One of these years, I'm going to show up at Historicon with terrain in hand, for John and his crew to play with. Who makes the correct tents for the AWI? Rallynow, You can use Renedra tents. The square tents above would work. I think the issue ithe round tents, those didn't come about until the 19th Century. The US government built many of those for the ACW and didn't pay the inventor. Deep State trying to overthought the population goes back to the 1860's. If I was gaming with Nevinsrip and used his camp, I would not have known that the one style is anachronistic. But I would have played anyways! LOL, and probably got my camp overrunned by rampant British LIne!. Those are all Renedra tents. 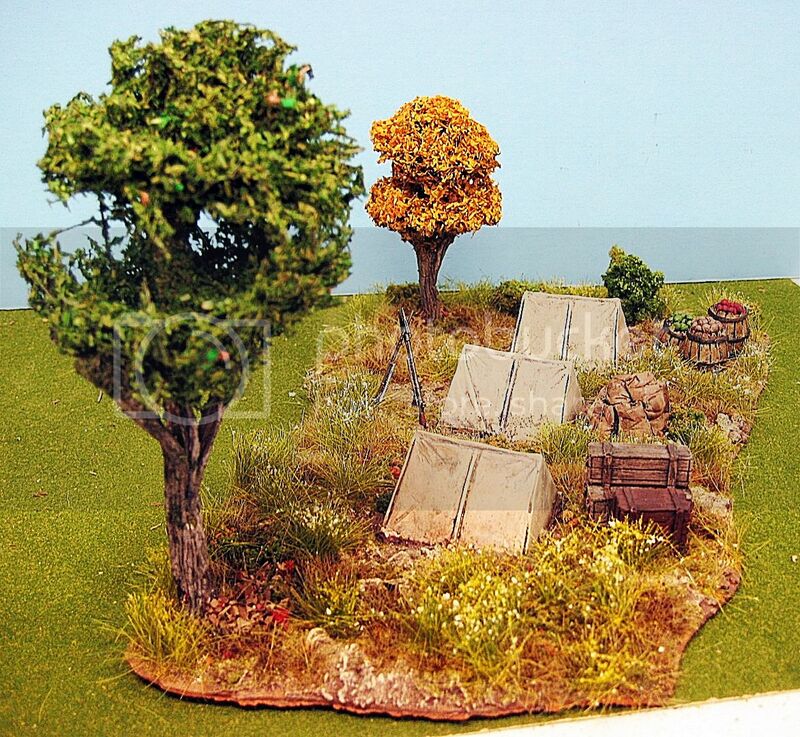 I have some resin tents that are so old I forget where I got them from. Look, your display, do what you want. 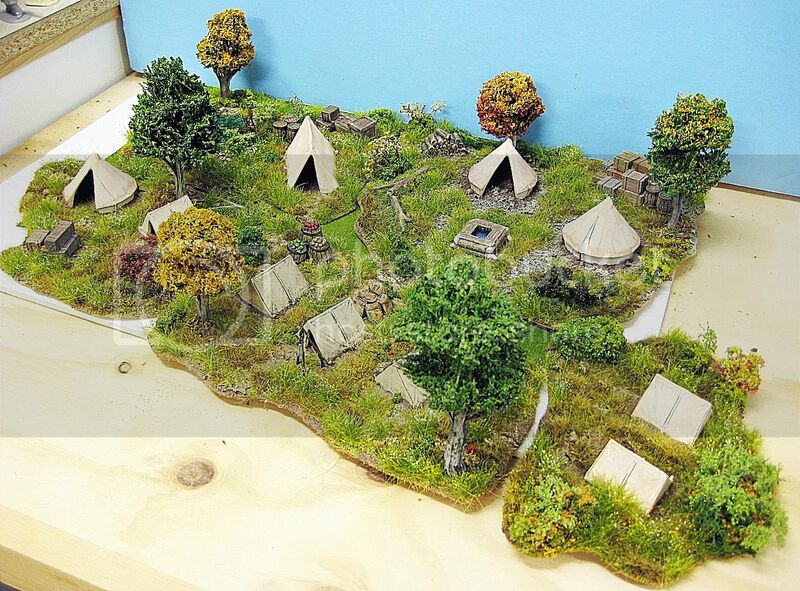 But, given this is the American Revolutionary War board, and not a modeling board, I'm not sure why you'd be surprised by anyone pointing out that your models aren't period correct – by 100 years. You have a talent for flocking, I'll give you that, but you don't seem very knowledgeable about the time period. 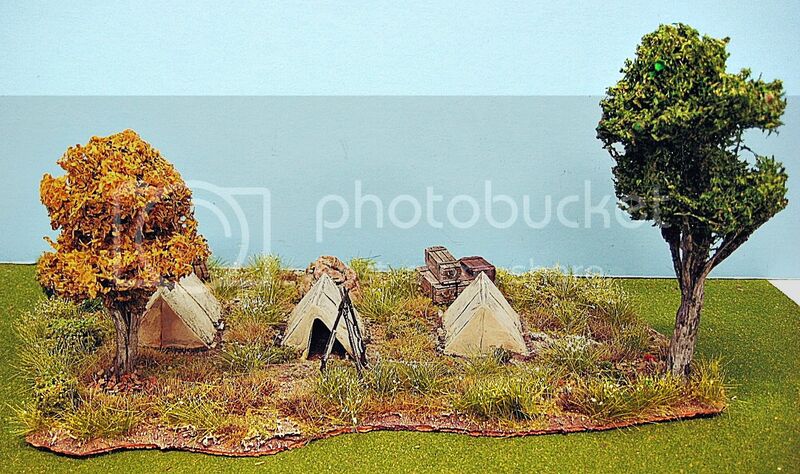 While you certainly made a camp display, it isn't even remotely military, or period correct. Period military camps, as documented in a number of period paintings and books on castramentation, show great details about period camps on both sides. Your displays seem to be some randomly throw together multi-period tents with some boxes and flocking thrown around them. Again, not sure why you'd act all outraged that someone would point that out on this board dedicated to the time period. If you don't want that then simply post to a modelling board where people likely wouldn't know the difference. HG, I'm neither surprised nor outraged. Mildly amused would cover it. "Your displays seem to be some randomly throw together multi-period tents with some boxes and flocking thrown around them." Yup, that about covers it. You can go back to counting buttons, now. I'll take some of these randomly thrown together pieces anytime! 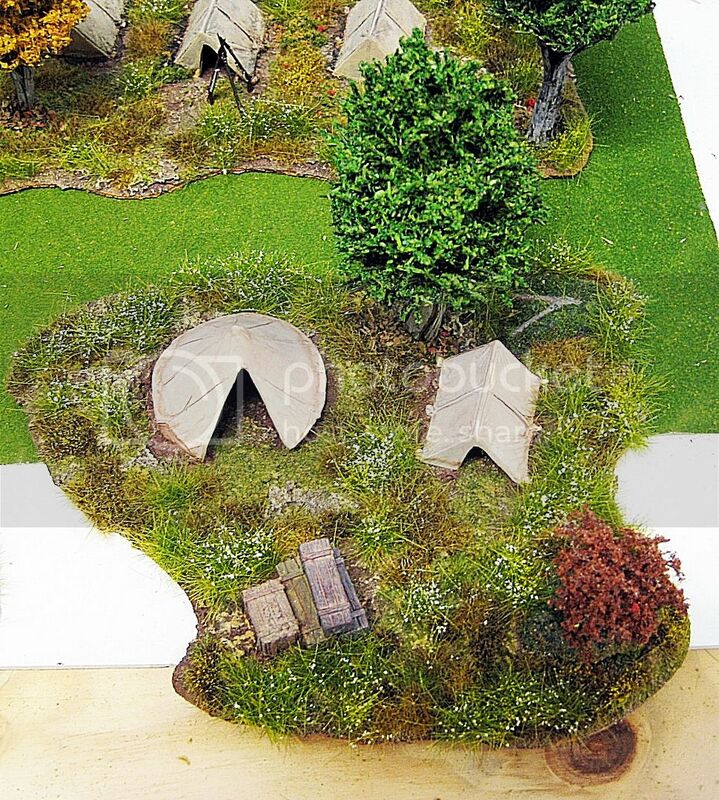 An historically done camp would be neat, complete with sentries, etc. 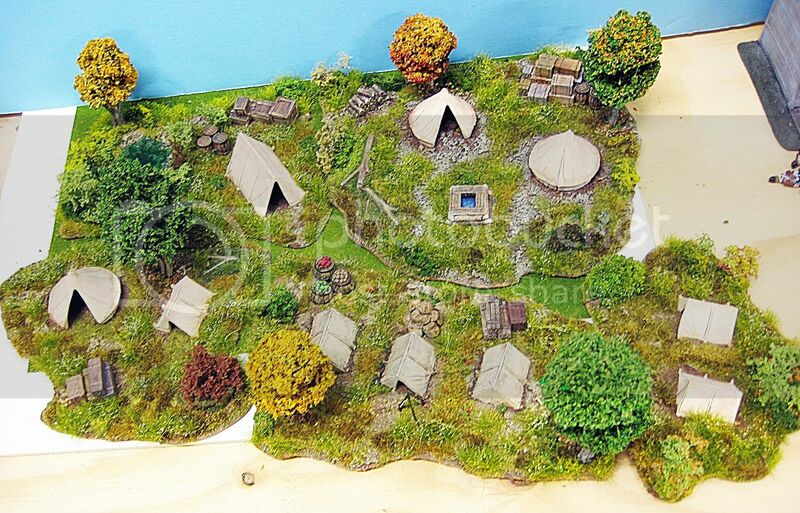 Actually, in my mind I pictured this as more a "hideout camp", rather than a military camp. I never pictured it as a Continental or British camp. My focus has always been on the SC backcounrty battles. I pictured this camp as being a place where Pickens, Brandon or Sumpter might meet up with his troops. HG I should have been more specific. It was never intended to be a "Military Camp". In fact, the thought never entered my mind. It's more a backcountry gathering place. And it's fine, that you don't care for it. After all, it's just a model. No offense taken. Well that makes sense. I was just going by the topic post which says, "AWI camp." Historygamer, I think that is time for you to let it go. Thanks Spooner6 I will check it out. You don't want to get me started on the Deep State myth.